The Light-Walkers: an otherworldly people of magic, mystery, and soul-rending purpose. 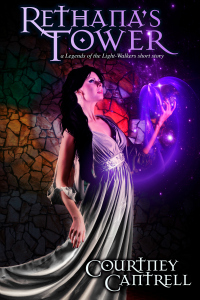 The Light-Walkers: arrogance, love, desperation, and a fierce determination to protect their magical birthright and their world–even if it means destroying ours. The Light-Walkers: always elusive, forever unreachable, and yet…among us. Playful sorcery that brings down nations. The fear factor in a magical venom cocktail. Undead, astral-projecting elves. 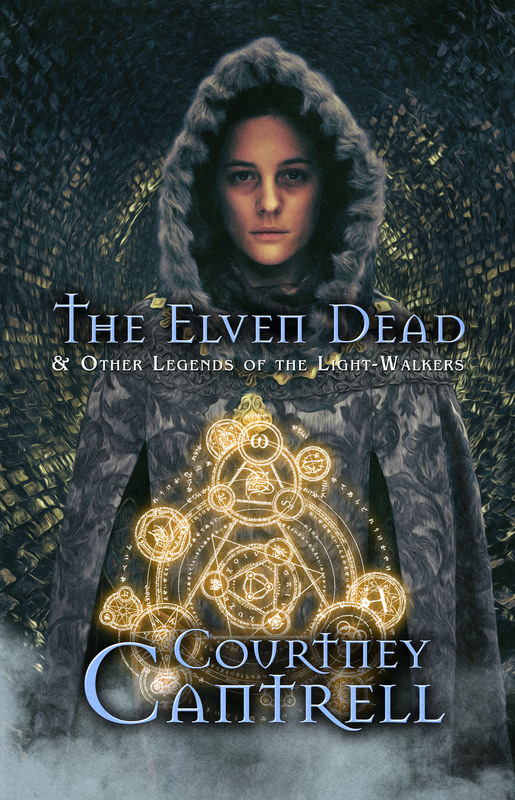 In five short stories and one novella, Courtney Cantrell offers fresh glimpses into the world she uncovered in Rethana’s Surrender, Rethana’s Trial, and The Dying of the Light. New characters, old friends, and base traitors populate this collection. Delve deep and sink your teeth into the marrow of the Light-Walker world. If the dragons don’t grab you, the undead elven soldiers will. Just don’t turn your back on them. For short stories available for free on this blog, click here. For short-shorts (3-sentence fiction), also for free, click here. Before the rumors of war and conscription by vengeful clerics destroyed her idyllic life in Rethana’s Surrender, Rethana Chosardal lived comfortably as a bellringer’s daughter. With dark times far behind her family and darker times of the future unknown to her, Rethana plays with the magical powers that are her birthright. Buy now for $0.99 at Amazon, or check out for free from the Kindle Owners’ Lending Library. …and Grace is so preoccupied with her delusions of dimension-jumping and time-travel, she probably wouldn’t even notice that her marriage was over. She’d have her fantasies, and Jack would get his life back. But there are two tiny, little problems. Jack loves his wife the way a “man without a country” loves his home. And he’s not convinced she’s crazy. 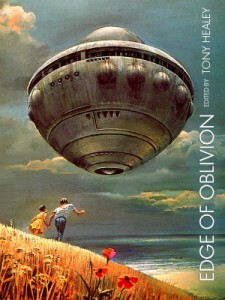 Published in Edge of Oblivion ($2.99 on Kindle). All proceeds go to the Cystic Fibrosis Trust. During a cheery morning jog, expectant mother Tori Haber entertains herself with Stephen-King-esque imaginings. But when a goblin leaps out of a baby carriage in her path and scurries off into an innocent neighbor’s back yard, Tori’s worst fears pale before reality. Thrust into a living horror she couldn’t have imagined, Tori discovers there might not be a way out. 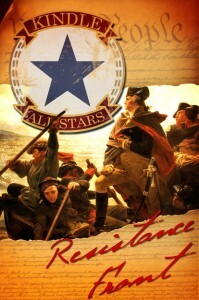 Published in Resistance Front ($0.99 on Kindle). All proceeds go to the National Center for Missing and Exploited Children.